1989 is not so much a Taylor Swift album as it is a radio-ready electro-pop album that happens to feature Taylor Swift. If the album does have a redeeming feature, it is the luscious production provided by Max Martin and Shellback, both industry renowned songwriters and producers, and occasional production input from fun. guitarist Jack Antonoff, who proves to have quite the imagination for this style of synth-pop, reminiscent of CHVRCHES. The team of Martin and Shellback show themselves to be a sensible production duo. The delicate melodies on “All You Had To Do Was Stay,” the sophisticated, urban piano to “Style,” and tasteful guitar flourishes on “Bad Blood” and “How You Get The Girl” highlight their ability to build a track. The ultimate problem with the production is the vocal production. It drains Ms. Swift’s voice of most of its personality and tone. This lack of personality is the primary flaw in the LP. 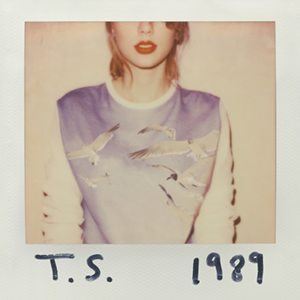 Many elements that make a Taylor Swift record distinguishable and unique are absent from 1989. Swift has always relied on her unique vocal tonality to stand out. Now, that voice is over-produced to the point of unrecognition. While she retains wisps of her once detail-oriented lyricism on songs like “Clean,” Swift dips even deeper into the realm of cliches in tracks like opener “Welcome to New York.” Predictably, this track is another pop song about the bright lights of the concrete jungle that never sleeps. The lyrics are often obscured by the production and bright moments are often lost in the swirl of sounds. Chart-topping “Shake It Off” only serves to be another temper tantrum in the vein of “Mean,” one of Swift’s most distasteful and unartistic works. Although nothing on ­Swift’s first pure pop production preserves the unpleasant aftertaste of her failed foray into dubstep called “I Knew You Were Trouble,” 1989’s lack of taste isn’t much better.